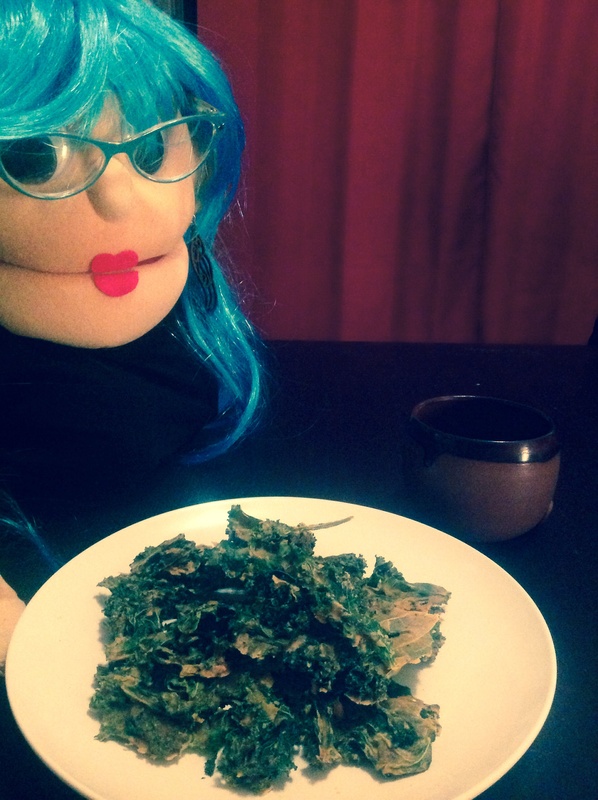 Ok so I have made an insane amount of kale chips in my short puppet life. (No I will not tell you how old I am, really rude of you to ask!) And I’ve come up with this recipe which is my all time favorite and includes a lot of veggies too! Blend all of the ingredients together except for the kale in a high powered blender, preferably a blendtech or vitamix until you have a medium thick paste. Then take the leaves off of the kale, you don’t want to use the stalks when you make kale chips. Pour the paste in a bowl and coat the kale pieces with the paste. They will come out best if you dip the leaves I the paste and massage the paste into them. Then place the gooey kale leaves on a dehydrator tray and dehydrate at 115 for 24-60 hours (depending on how thick the past is). 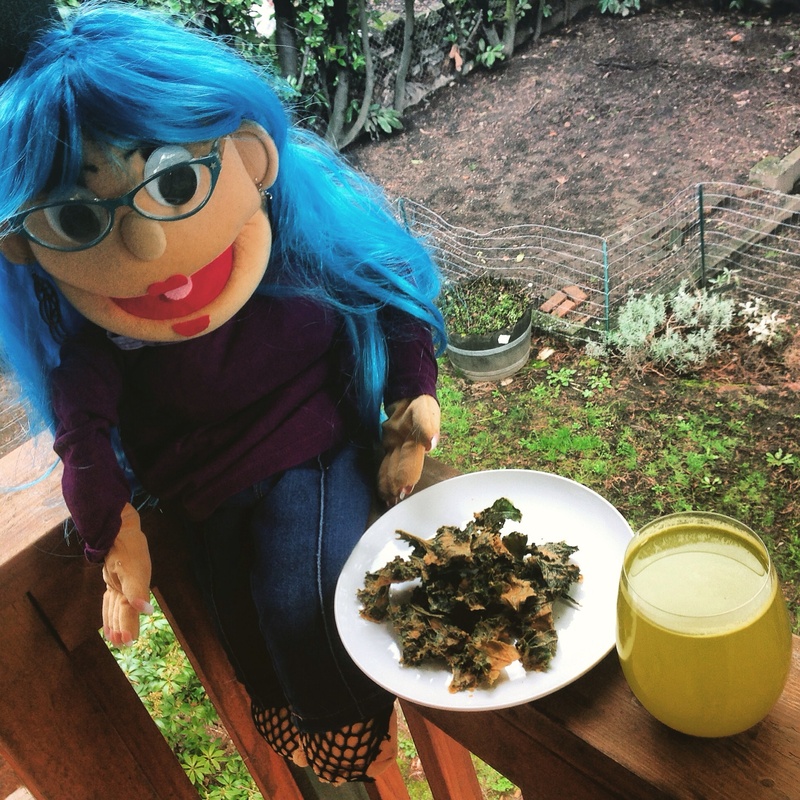 You can also bake the kale chips for 10-15 minutes in the oven on 350 degrees if you want them to be ready quicker, but they will lose more of their nutrients. Hope you enjoy! Let me know if you have any comments or suggestions to make the recipe better!